Imagine if you could make one simple tweak to your coaching website, and you start getting more clients through it. …and each of them significant enough to generate more leads for your coaching business? You probably will be excited to read about them. 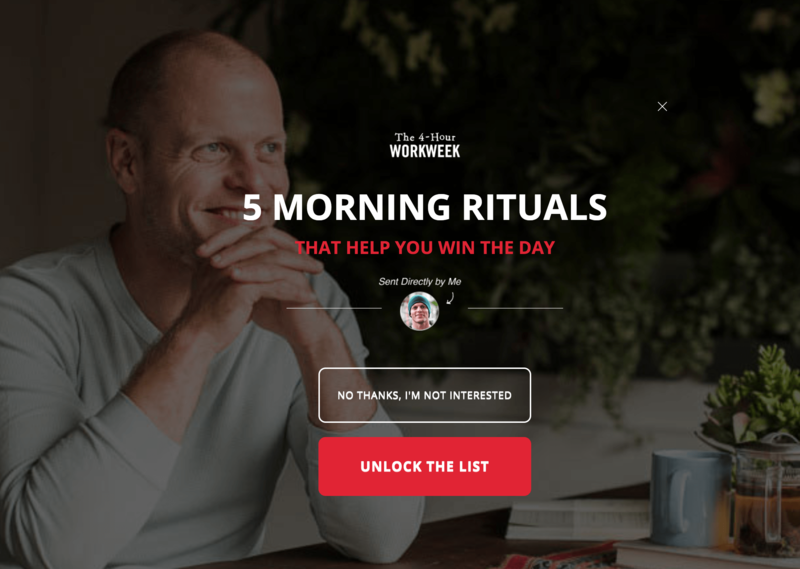 This post contains a review of exactly 9 tweaks I’d suggest for a coaching website. And what’s the best thing about these review tweaks? YOU can apply them to your online coaching business TODAY! The intention here isn’t about making someone feel bad about their own website by critiquing it. It’s to give you my best suggestions regarding your website so that you can generate more leads and grow your coaching business. I will be going through the website in an orderly manner. So, some suggestions will be small design changes and others will be major changes which can improve your website substantially and can help you get more clients through your website. This is what we call the Hero Section of a website. And, this section decides whether a user will scroll down on your website or he/she will simply close your site and go to your competitor. 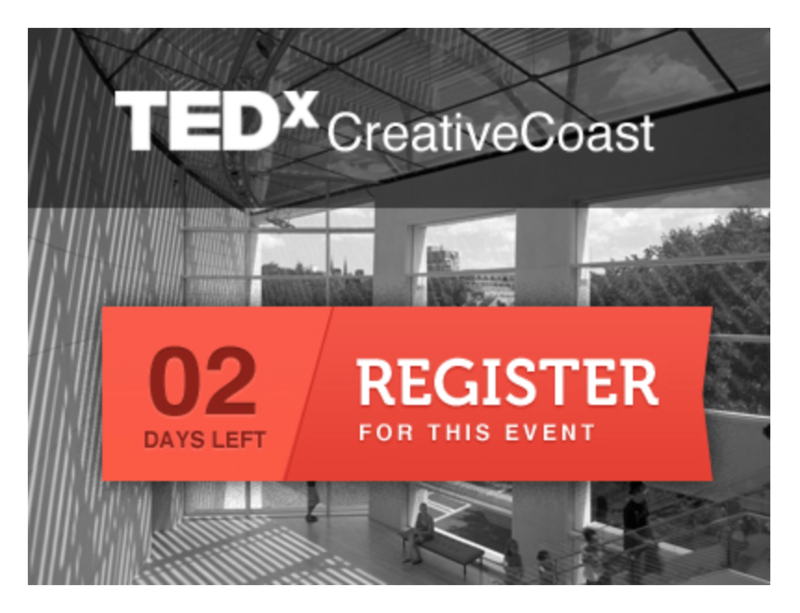 I like that she is asking her visitors a question and then clarifying whom she works with – Strategy for Business, Creatives & Career Design. We can discuss more about her value proposition and ideal clients later on. 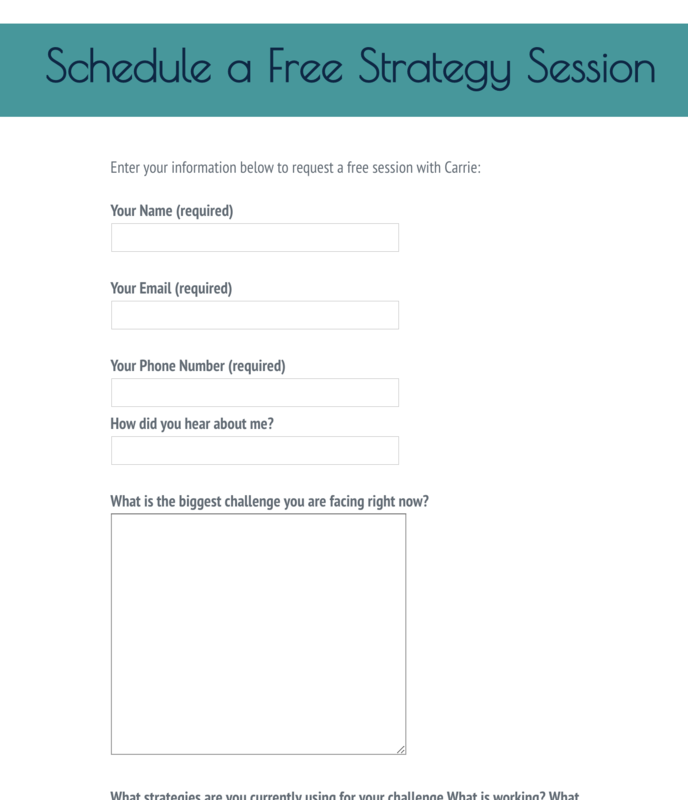 Use a contrasting color for the Call To Action button – Schedule A Free Strategy Review. This will increase the conversion rate for your website. Now, what is Conversion Rate – Percentage of users who take a desired action. 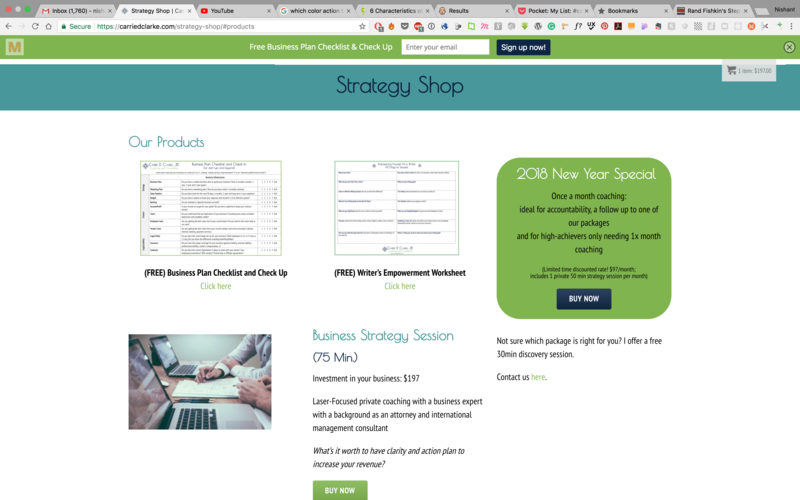 And, for her website, the desired action is on Free Strategy Review and Business Checklist download. Instead of using the logo again in her hero section, she could use a picture of herself or any other picture related to her value proposition. Your image in the hero section will create trust in your site visitors and people can relate to a human being better than a random image. 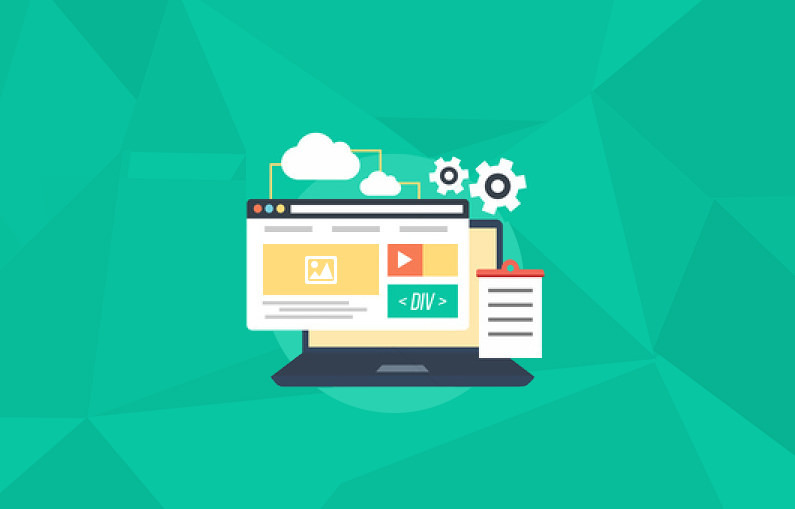 It has great contrast, thereby bringing your site visitors to focus on the most important action on your website. 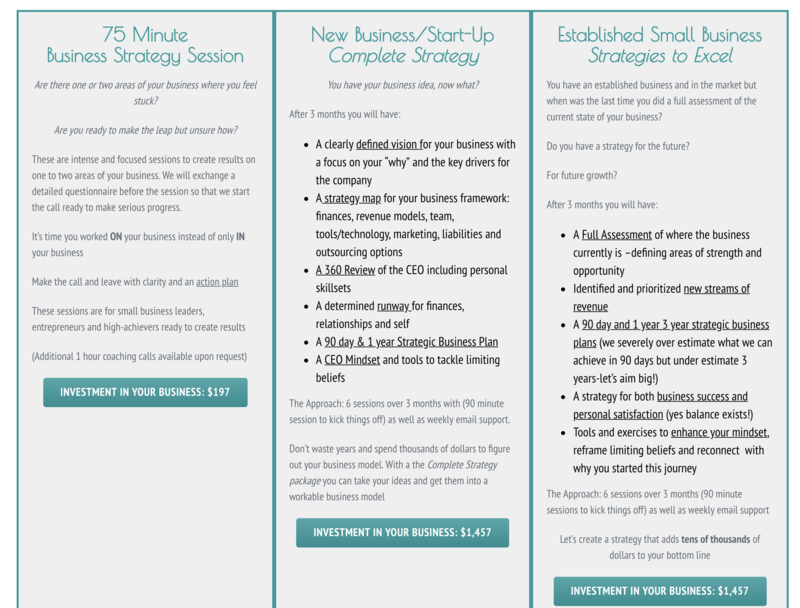 I really like that she’s providing her website visitors with an upfront value in the form of a Business Plan Checklist. And, along with her logo and name she’s clearly mentioning what she & her work is all about i.e. Coaching & Consulting. I will talk more about the site navigation later on. Suggestion – But, one thing I would like to suggest please place your phone number & email address in the top sections of your website. Many people in coaching service want to directly reach out to coaches through email and phone numbers. It’s better to give them that information upfront. And, if the phone number is not possible at least give them your business email id. Services you can try – Many people these days also like to chat through your website and discuss their problems. For increasing interaction on our website, we have used this service https://www.drift.com/ in the past. You can try it out if you want. This shortens your sales cycle and your clients can leave their email addresses for you to have a conversation with them. Now, in this section, it’s great that she is giving people direct navigation to their respective fields. But it’s really not a good design. Here’s the basic rule in design – Don’t confuse people. The best thing is to make the whole section ‘Entrepreneurs & Small Business’ a single link. Because it’s easier to tap a large area and people can directly navigate to their fields. But, if you don’t want that I strongly recommend making the complete text ‘Entrepreneurs & Small Business’ a link and using one color for the link. Either green or blue. I love that she is using testimonials immediately after her Hero section. Most coaches don’t do that. And, testimonials build great trust in your website visitors. People can directly relate to a person who has gone through the same problems and see how you helped them improve. If you can put up the profile pictures of clients who have given you testimonials, that increases the trust exponentially. And in 2018, great coaches and consultants are using video testimonials because it’s hard to fake an experience in video form. People these days feel like anyone can write testimonials for themselves and post it on their site. But, if they can see the person or watch them in a video it’s a great trust builder. You can replace your company logo above testimonials with profile pictures of your clients. I loved this section below, where she is mentioning her credentials & experience. People can directly connect with the coach they are going to work with. They can understand the knowledge and experience the coach has, to solve their problems. Then, I liked that fact that she is using this Sign Up Now popup at the bottom of her page. 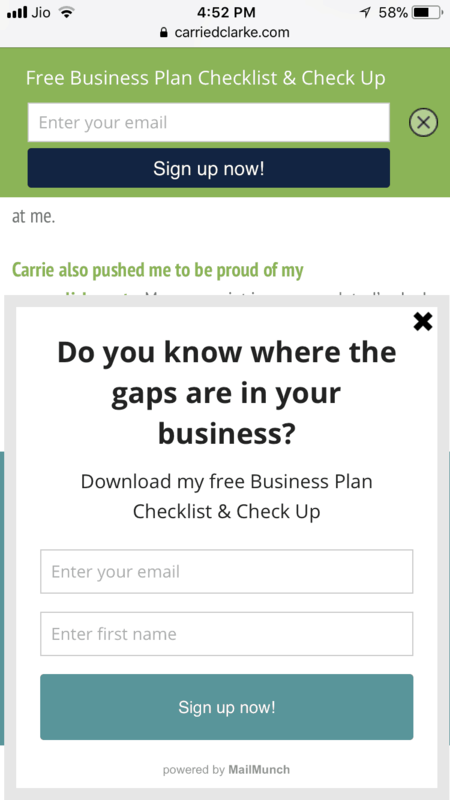 You can use exit popups for your website. It doesn’t disturb the flow on your website and it only appears when your visitor is about to leave your website. 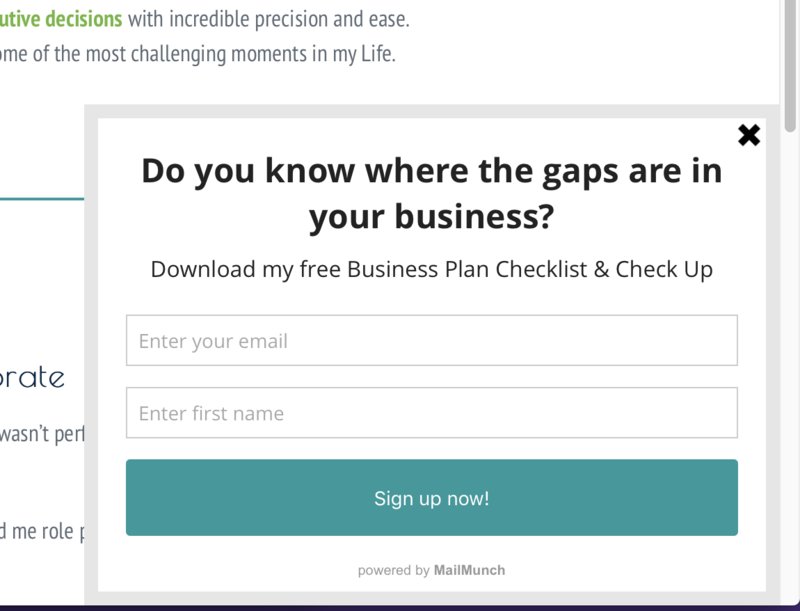 Exit popups will help you build an email list for your business which is probably the most important thing in any online business. With Google’s new algorithms, scrolling popups will go against your SEO strategy. 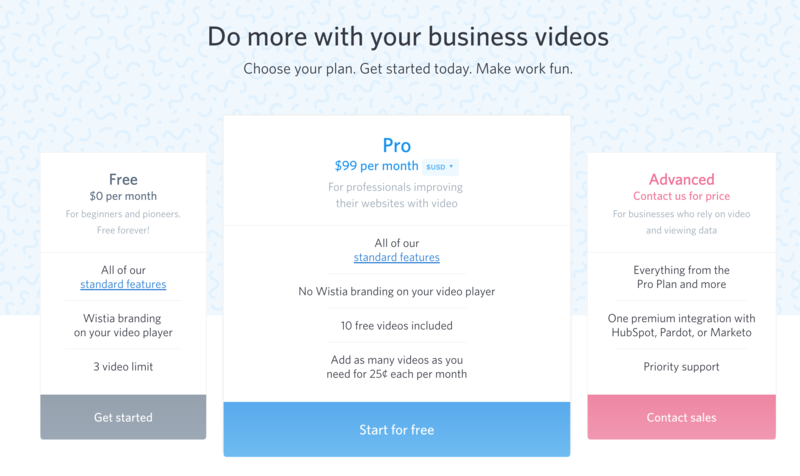 Some More Suggestions: It’s much easier to sell if your service feels like a product. So, two more suggestions for your homepage. 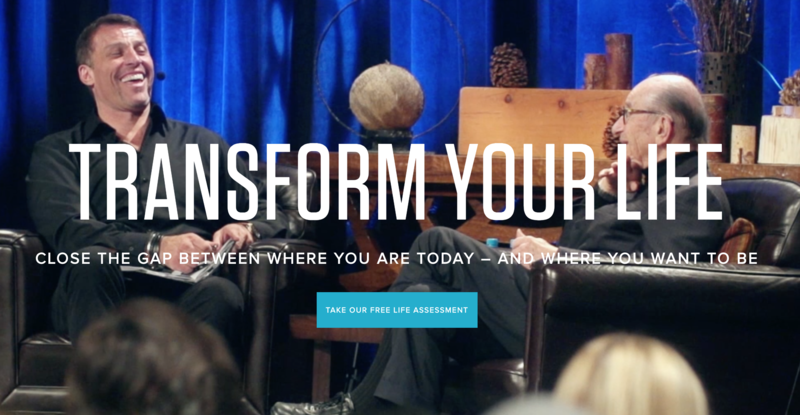 If you can display your process in few steps – The journey your client will take from their current situation to the desired situation; it will give your future clients a better understanding of what they can expect from your coaching. Secondly, you can give a brief intro about your different coaching packages on your homepage. It will pique the interest of your site visitors and they will want to check out the details of your different packages. Right now, a person can only reach out to her coaching packages through top navigation. There are no independent links to these packages on her homepage. And, if you want to really increase your conversions and build a great email list, you can set up a small quiz in the hero section related to your clients. It will give you some idea about the people in your email list and provide them upfront value by giving them suggestions on different areas they can improve in. 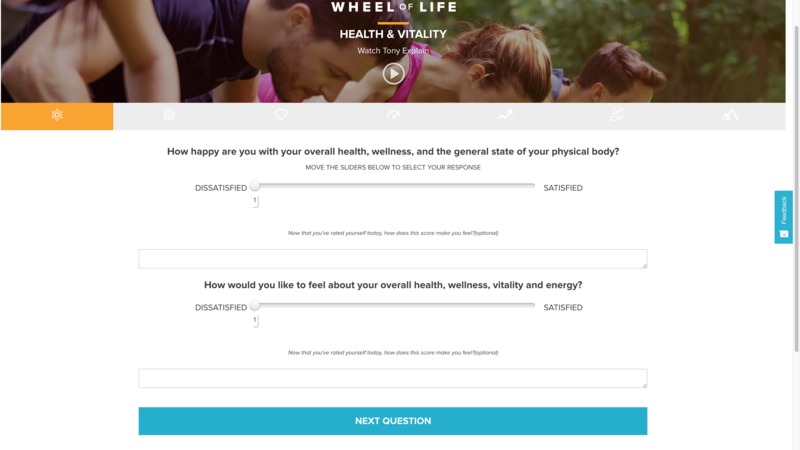 Quizzes are great for increasing interactions on your website. 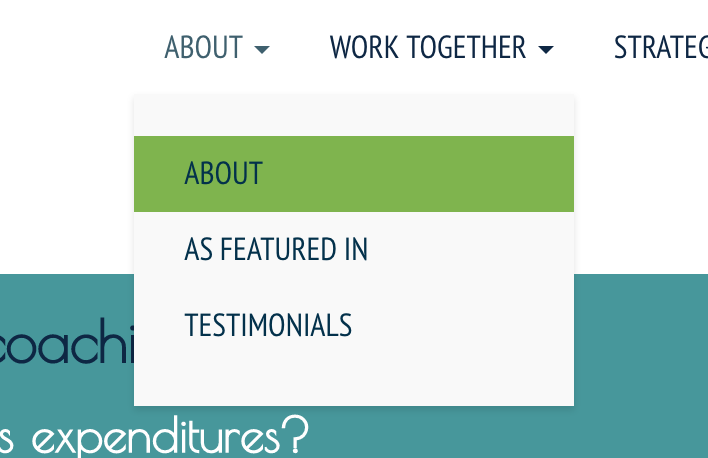 Suggestions: Under her About navigation, as shown below, there are 3 things – About, As featured in & Testimonials. She can use the Featured In section just after her testimonials on the homepage. And, she can simplify her navigation by keeping just About at the top. I know I am going into minute details in some places. But they help the user experience on your website a lot. I hope you also like to create great experiences for your clients so that they love to do business with you. 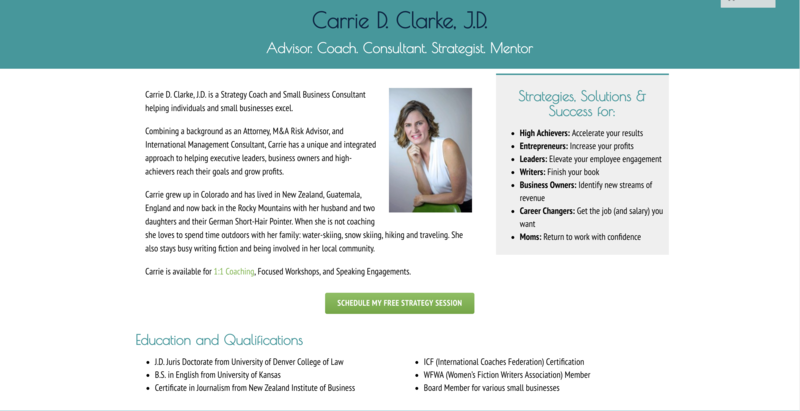 Under her Work Together section there are mainly 3 packages – Business Coaching, Career Coaching & Creatives. I like that she is giving a brief introduction to the package and testimonials at the top. But here is the thing, when you are displaying the pricing of your packages please treat them as sales packages. Highlight your main package and just keep one action button for site visitors. Now, all the packages here look the same and the way she is presenting her copy is not very clear for her website visitors. Second thing, she is giving them the action button – ‘Investment in your business $197’ but this button is not clickable. That’s a huge turn-off. And, she might be losing a lot of money because of this. If you are presenting your package, please let the user purchase your package. On top of that, she is giving them two different kinds of buttons in a very small area. Investment and Free Strategy Session button. Please define your main focus for this page and only invite users to take one action. Each package has their own color and it guides the user’s attention in a clean way. They want their users to focus on the Pro version so it’s bigger. It’s in the centre. The Free option is in a dull, grey color which is meant to draw less attention. Suggestions: One particular thing you can use when presenting your coaching packages is to create sales pages for them. The main target of sales pages is to answer every question your client can have. This makes it easier for him/her to buy your packages. She has another option called ‘Calendar’ under ‘Work Together’ navigation. 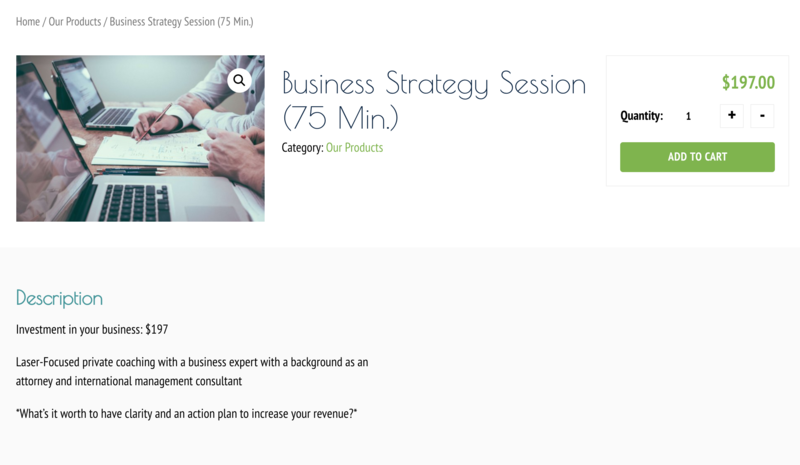 Instead of placing it there, she can use it when a visitor clicks on her ‘Book Your Free Strategy Session’ button. It will let them know when they can expect a meeting with her. She can use the calendar at the bottom of this page. Under her strategy page, you realise that it starts with too much distraction for her website visitor. They are bombarded with too much information to look at. Suggestions: She can use a clear heading “Free Products”, present her free products and then give some space. Using another heading for her paid products would ensure that the page doesn’t feel too tight and difficult to comprehend. 2018 New Year Special can be presented as a banner after her Free Products so that visitors can read it with proper attention. Now in her paid packages below, I don’t know why she is presenting her “Contact us” here on the right side. She can easily put it below the information of her package. It gives a clear flow to the eye of her site visitors. And, she can make her Buy Now a little bigger in size to get more attention from visitors. When a visitor clicks on ‘Buy Now’, they are taken to this page. She is using only 4 lines of information to describe her product. Generally, your clients will have many questions before buying anything. And, you should answer their fears, needs and dreams with your sales copy. So that it’s easier for them to take action and buy from you. 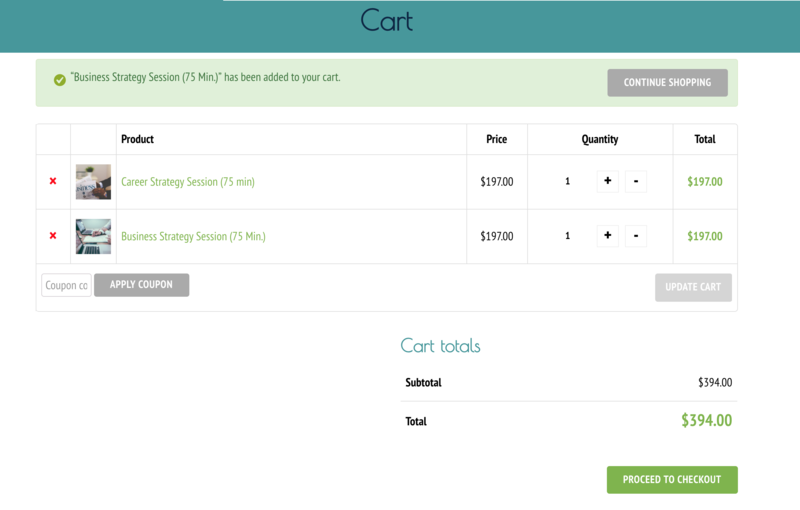 When you have a cart on your website, you are now in the realms of e-commerce. You can look at Amazon and see how they are giving all the information to their users. They give a brief information at the start. After that, they describe the special features of the product with images and text. Then they present the warranty information. And, even after that, they show buyers’ reviews so that there is no doubt in your mind before buying their product. This is how the world of e-commerce is working. I understand coaches are really good at one-on-one meetings where they can see the expressions of their clients and present them with the necessary information to help them make a decision. But, in the digital world, you have to think as a site visitor to provide them with all the necessary information they need to buy something from you. Suggestions: Next thing, when I click on “Add to cart” it takes me to this page. Now, the fact is that many people will abandon your shopping cart after they have added an item or two. But, what you can do is to collect their emails at this point. So that you can present them with your package when the time is right, through your email marketing. Blogs and articles are one of the best ways for coaches and consultants to build their online credibility. And, there are some important things about blogging. If you are investing your time and energy into writing blog posts, please use a “Subscribe to our blog” section in between your blog posts or just before your bio. And, please write lengthier posts (1500-2000 words) otherwise, your pages won’t rank higher in Google. Google wants to list credible pages at the top of their search results and when you go deep into your subjects by writing longer and great posts, they think you are credible. Otherwise blogging is an opportunity cost and you can utilize that time somewhere else. You can start with these two suggestions. And if you want more, you can contact me whenever you want to go into details of blogging and digital marketing. Her mobile version has some completely different issues. Maybe her clients are viewing her website on their desktops or laptops, but in 2018, the mobile experience is equally or even more important because it’s the most handy & quickest way to access something. And, when people hear about a website or service they want to check it out on their phones. Right now, I am giving you only the desktop website review. But, I have to mention this screen because it’s completely destroying a visitor’s mobile experience. There are some web development issues also. But, I guess that will be too technical to explain in this post. This one is Google’s page speed insights. Right now, her site loading speed is below average. And, this can be a major reason for losing her new prospects. In this site, you can simply copy paste your site’s URL. And, it will display all the issues on your website. Right now, her site optimisation is not looking good. Am I correct in assuming that you don’t want your website just as a brochure, you want it to turn visitors into clients? Maybe right now most of your ideal clients are coming through referrals or LinkedIn connections and you don’t see much value in your website. But, with the tweaks suggested above you can improve your coaching website to target your ideal clients and generate more leads every month. I hope you received some value from this website review.